Lavinia's Supper Party is available exclusively from Place Direct. 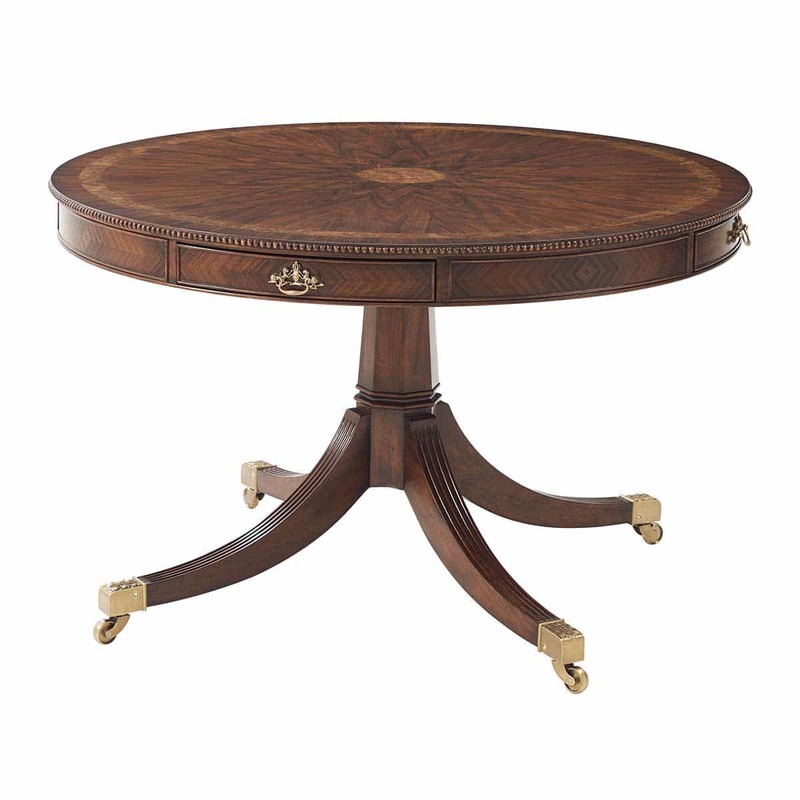 A morado and pollard banded circular dining table, with a carved edge and four frieze drawers with brass handles, the hexagonal column issuing outswept reeded legs on castors. The original Regency.